With summer here, and temperatures sure to reach the mid-30s at some point this season (that's Celsius for you U.S. readers), knowing how to deal with and play in the heat is important for everyone heading out to play Milsim Paintball over the coming months. Grey Ops' 3-part BEAT THE HEAT series will cover some equipment and tips for proper heat management this Paintball season. In the first part of this series, we looked at the right kind of shirts to keep you cool while playing, while protecting you from paintball hits. In the second part, we discussed how to strip down your load-bearing equipment to avoid having your core overheat. In this final installment, I'll outline some little tips that all add up to help keep you cool, comfortable, and healthy playing Milsim Paintball this summer season. Streamlining your load-bearing equipment is a necessity in the summer months, but at the same time you don't have to fill up every pouch you decide to keep on your vest or rig. If you normally go through 2 magazines in a typical round, it doesn't make sense to carry 8 magazines in your mag pouches. Pop 2 in there (plus an extra 2 in case things get hairy), but leave the rest in a knapsack in the deadbox for later. 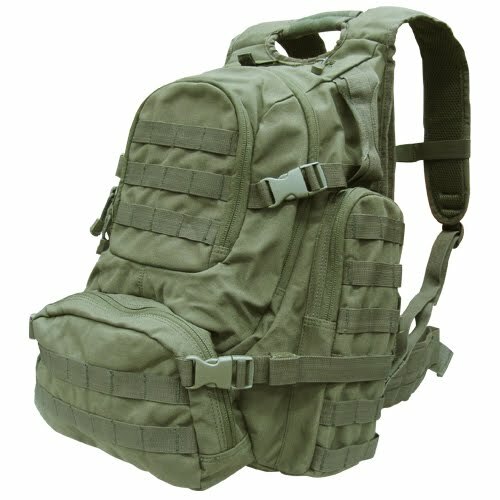 If you're playing in a Big Game, where you'd usually be covering lots of territory and battling it for much longer than the usual 15-minute woodsball round, invest in a decent pack to carry your goods and water (I recommend something like the Condor Urban Go Pack). When your squad makes contact with the opposing force, you can drop the pack and get into the fight without being weighed down. When the battle's done (either your opponents are out or you are), you can always walk back and pick it up again. You could even make it a squad "crash bag", with extra paint and HPA bottles for everyone, and take turns carrying it to avoid any one person getting tired by it in the heat. 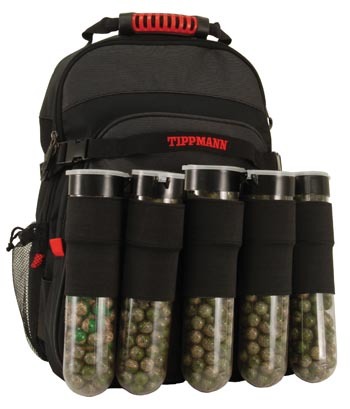 If you're more Woodsball than Milsim in terms of looks, the Tippmann Field Pack is a great, lower-priced alternative to the Condor bag. It even has loops on the back for carrying extra pods externally. Of course blood also runs through your head, with a lot of blood vessels running under your scalp (ever notice how people bleed so damn much from a little cut on the head?) 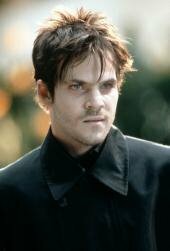 This blood brings body heat with it, which needs to be dissipated. Even the act of thinking creates heat in the brain, which is partially radiated through the skull. 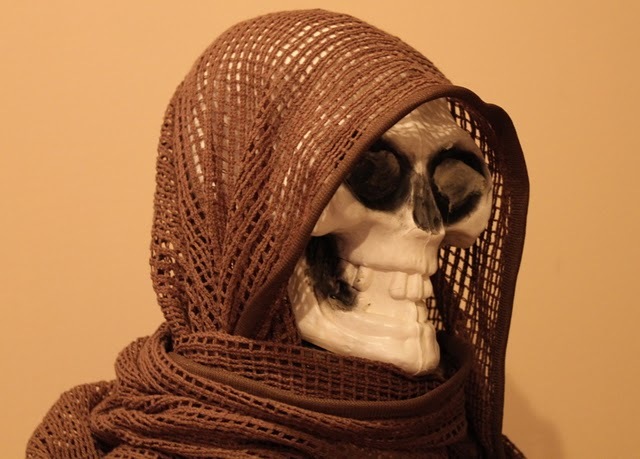 With this "in mind", it's important that you not cover your head up with some form of insulating "heat trap" that can cause heat stroke and a subsequent keeling over! A lot of Paintball-specific headwear doesn't take this into account, and sacrifices breathability and heat dissipation for protection. Turtle Caps are nice and padded, but you might as well be wearing a fur hat if you have that on in mid-July. And as if there wasn't already a good reason to NOT wear "sandannas" (they look absolutely ridiculous, like you're wearing curtains on your head), the headband part can trap head around your forehead and temples. Of course on the Milsim side, wearing helmets and full-head goggles can make for an oven around your head in the sun! If you've played with gloves on during the summer (and you should), then you've no doubt noticed how uncomfortable and hard to take off they are at the end of the day. They're usually soaked through with sweat, and feel like you're wearing Hot Paws in them. The fact is that if you move a lot and swing your arms, you hands can radiate a lot of heat. This is because the swinging motion of your arms when walking or running throws warm blood to your hands and fingertips, causing heat build-up in your hands and fingers. (Note that this is a good thing in winter, and a good tip to warm up your hands and frosty fingers is to swing your arms and send blood to them thanks to the centrifugal force). Wearing lighter gloves in the summer is a wise move, and there are several models on the market that fit the bill. One that I have experience with is the Oakley SI Assault Glove (also known as the Factory Pilot Glove). 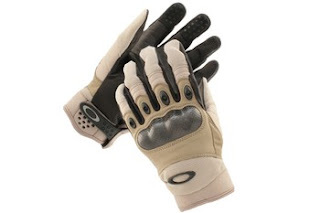 There are venting ports around the whole body of the glove, and the material between the fingers is a light, vented material that allows moisture and heat to escape from hot fingers. Another option is to sacrifice some protection for your hands, and cut off some or all of the fingers of your gloves. Doing this will cool your hands nicely, but the trade-off is that you may take more scrapes and cuts to your fingers. As much as possible, between rounds or during other down time, you should "dress down" to favour more ventilation. Undo the zipper around the neck of your combat shirt, take off your head scarf, undo the velcro on your sleeves and roll them up, open the zipper on that mesh vest, or unclip the buckles on your chest rig. Do everything possible to cool down (short of getting nekkid) when you can. Avoid the sun as much as possible, as it's obviously a HUGE source of heat. In the parking lot, instead of hanging out by your car's trunk boiling in the sun, take whatever you need to a shady spot nearby. In the staging area, have a seat under a tent or in a shelter instead of soaking up rays. And if you're stuck in a deadbox, stick to a shady spot in it. I know you don't always have control of that last one, but a responsible field owner will usually place the deadboxes on his field in spots in the shade of trees and bunkers. When you're out playing, stick to the shady part of the field. Not only will this keep you cooler, but it'll help you blend in better and stay camouflaged, as sunlight enhances contrast and highlights familiar patterns (which isn't good for camo purposes). It amazes me sometimes how Paintball players staging or on lunch break just hang out in the sun, as if they were at the beach. You're not about to jump into some nice cool ocean water, you're about to spend the afternoon in pitched Paintball BATTLE!! Save your strength and sit in the shade to save your energy and stay cool. Don't be too quick to dry off sweat. The water in sweat plays the biggest part in how your body gets rid of heat; when that water evaporates, it carries heat away with it (this is why days with high humidity seem hotter, because the air around you's too humid, and the sweat can't evaporate). If your shirt or head covering is soaked, keep wearing it! Taking it off and hanging it over your car door to dry it out won't do you any favours when you're trying to manage your body heat. Obviously if sweat's dripping off your face or down your back to the point that it's distracting, then dab some of it off. But don't look at sweat as a bad thing to be gotten rid of - it's on your side! One downside of summer heat and humidity is a fogging lens on your goggles. There are products on the market to help with this, and generally you get what you pay for. The cheap 5$ bottles of fog solution that you have to keep re-applying are terrible, but better than nothing. 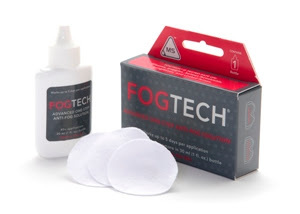 The more expensive solutions like Fog Tech, Fog Doc, and Plexus work well, and get good reviews. Paired with a thermal lens in a well-designed mask with good ventilation, fogging should rarely be a problem. A fan will definitely help too, but keep in mind that tiny 1/2" blades won't move much air, and won't work miracles. Occasionally, despite all of the above precautions, your lens will still fog up. Paintball masks are passive items that won't pull in air, so to keep the air in your mask moving through it YOU need to be moving! If you sit still too long, the humid air in your mask will drop its moisture onto your lens in the form of fog, and ruin your day. This doesn't mean you have to get up and run (although that would help). It just means that if you're going to be stationary for an extended period of time, swing your head from side to side and/or up and down every once in a while to create a breeze through your mask system. This may look silly, but if people around you aren't doing this too they won't be able to see you anyway, as their masks will be fogged up. This is a no-brainer, but the best way to BEAT THE HEAT is to drink copious amounts of water. Connor's already posted an excellent article on hydration, so I won't waste bytes of Internet by posting the same tips again. Definitely check that one out. One thing I want to point out is that while it might be temporarily refreshing to drink water ice cold in hot conditions, this can be counterproductive. If the water (or juice or Gatorade or soft drink) is cold enough, it can irritate your stomach lining and slow absorption, so it might actually take longer to satisfy your thirst. Try to drink your water cool, but not near the freezing point with a big block of ice floating in the bottle! One thing's for sure, it's always better to drink more water than you need, than not enough. So make sure to have plenty of it on-hand! 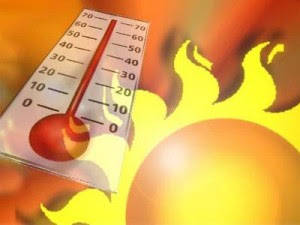 This concludes Grey Ops' BEAT THE HEAT series on preparing yourself and your gear for playing in the summer heat. we at Grey Ops wish you a fantsstic and COOL season!